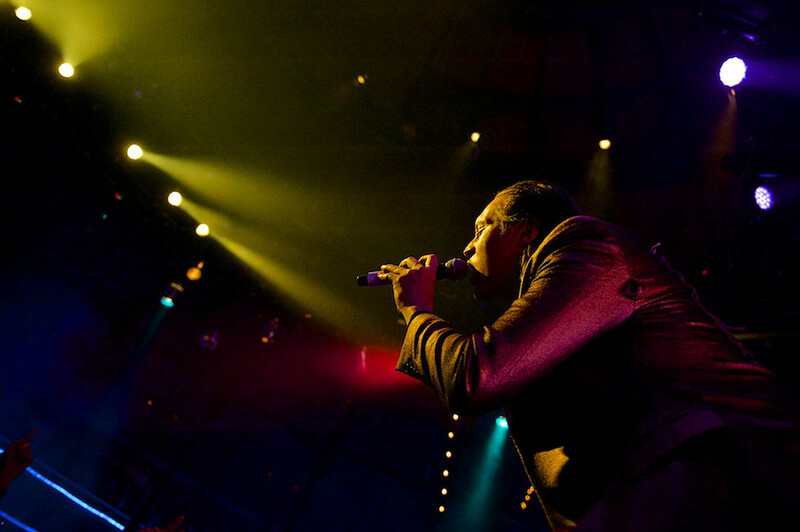 Under the reflected light of half a dozen disco balls Arcade Fire made their live return to the UK. Or maybe that should say, The Reflektors made their UK live debut. This facade of being a different band is one Arcade fire isn't exactly taking seriously, "We were formed in 1990-fakety-fake year" announced Win Butler at one point, but it also seems to be hugely liberating for them. 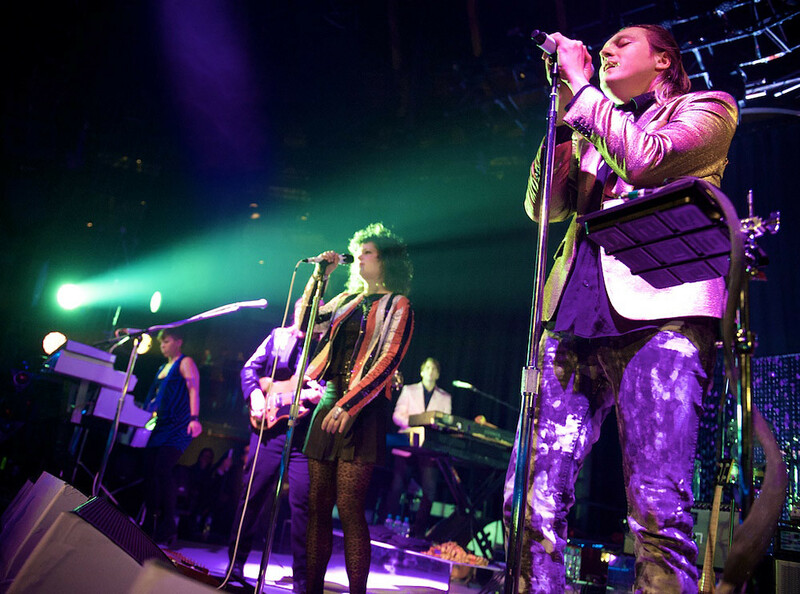 Under the reflected light of half a dozen disco balls Arcade Fire made their live return to the UK. Or maybe that should say, The Reflektors made their UK live debut. This facade of being a different band is one Arcade fire isn't exactly taking seriously, "We were formed in 1990-fakety-fake year" announced Win Butler at one point, but it also seems to be hugely liberating for them. 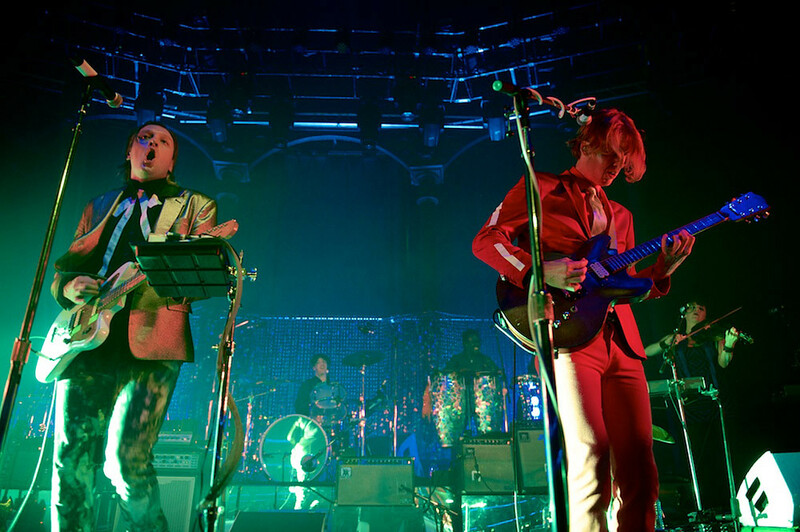 Reflektor is a dramatic change in direction for a band known for pulling huge crowds at festivals and mass euphoric sing-a-longs, and approaching Monday night's show it was unclear how Arcade Fire would approach performing for a smaller crowd in an indoor venue. So what did they do? They turned the Roundhouse into the ultimate party venue. 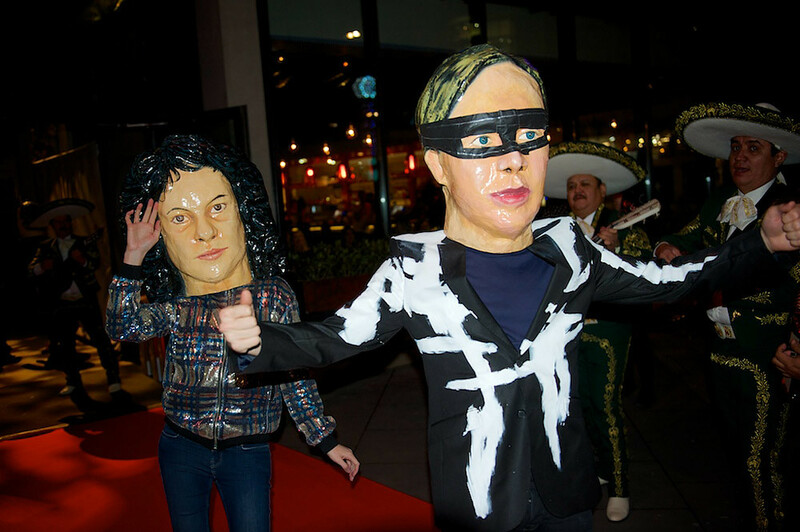 Formal attire and fancy dress was strongly encouraged (it seems some were alienated, but Win made it pretty clear that he didn't care if people felt uncomfortable), and a Mariachi band greeted the audience at the entrance to the venue. Inside the Roundhouse's main space Don Letts provided a DJ set to help get people moving and set the atmosphere for the evening's entertainment. The audience reaction to 'Reflektor', which opened the evening, showed just how much enthusiasm the crowd had for the band's new direction. The surging and singing of the crowd only topped by 'Neighbourhood #3 (Power Out)', which immediately followed. Things then got tamer for the next few songs as the band worked through the new material. As the evening progressed the audience loosened up more and by the show's final moments the crowd seemed won over and happy to loose themselves in the music, dancing to a re-working of 'Haiti' driven by an infectious conga rhythm. These Reflektor gigs are admittedly warm-ups to a larger tour, and throughout the evening it seems like both the band and the audience are trying to figure out the songs. Whilst the setlist has been pretty similar throughout the tour, there is a certain amount of tinkering and experimentation that shows the band trying to figure out how to appease fans after familiar material, whilst also staying true to the new creative direction. This results in a few special, unexpected moments such as an a capella performance of 'My Body Is A Cage' segueing into 'Afterlife' - which already has all the hallmarks of a classic live track. The evening is very much focused on the new record, and Win even takes the opportunity to thank everyone who brought the record and sent it to number one: "It seems there are enough weirdos out there." 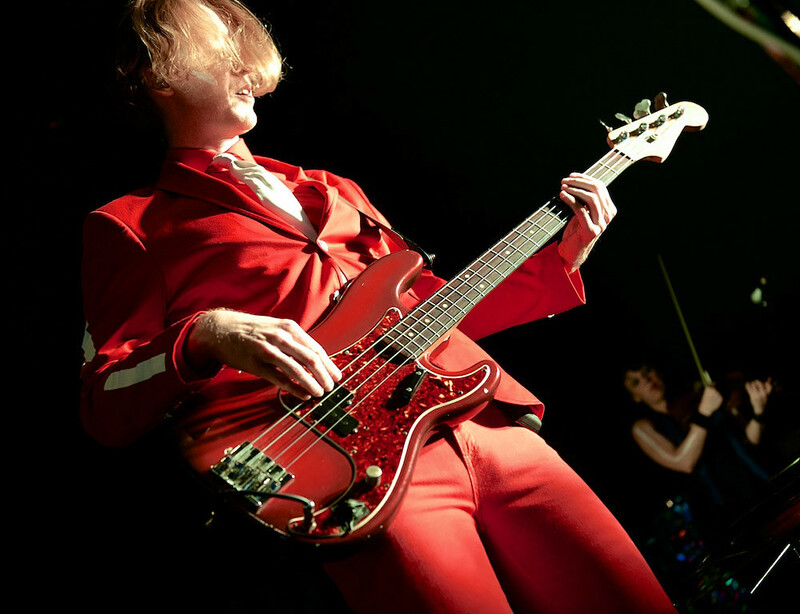 Only four pre-Reflektor tracks were played ('My Body Is A Cage' was just a single verse), which makes it interesting that the band chose to also include a cover of Devo's 'Uncontrollable Urge'. It fits right alongside their material and suggests the band are more interested in keeping the celebratory, carnival-esque atmosphere, but it doesn't seem to capture the audience's attention as much as it should. Arcade Fire still manage to include some wonderfully sweet and tender moments, amongst the raucous partying. 'It's Never Over (Oh Orpheus)' features a beautiful call and response between the band and the crowd and shows just how quickly people have fallen for the record, with many people singing along with the vast majority of songs. 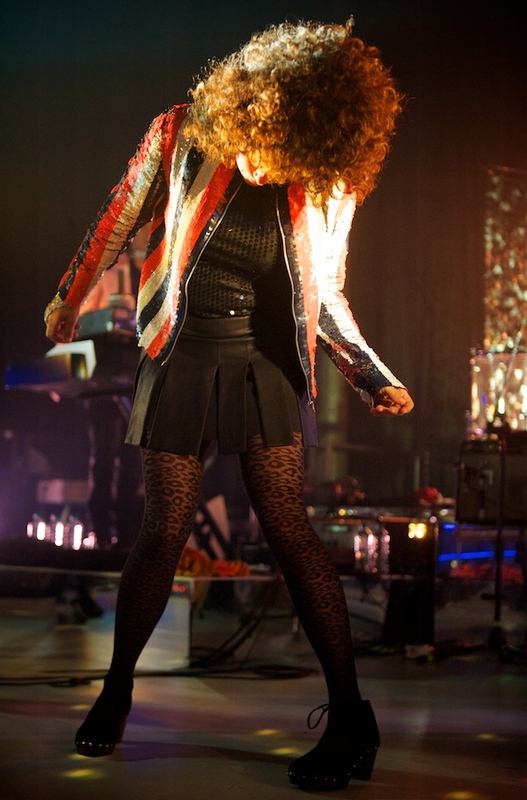 The emotional peak however was saved for the encore and a rare performance of 'Crown of Love' from Funeral. It was requested by Leah Gordon, a photographer whose images of Haiti adorned the walls of the venue that evening, and was dedicated to her father, Alexander Joseph Gordon, who passed away recently. It was touching moment that recalled the Arcade Fire of old. 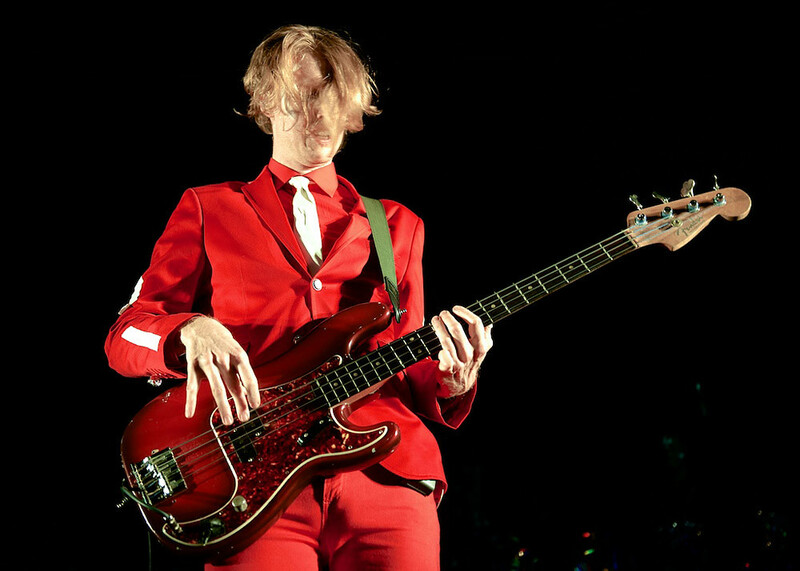 It also showed that that the deeply personal and intimate aspects of Arcade Fire's music hadn't been sacrificed for the sake of partying. Lights shimmered, mirror balls sparkled and confetti fell from the sky. They might sound a little different, but they are still the incredible, powerful live act they always were.